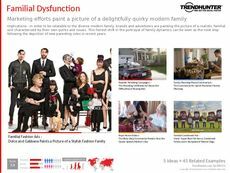 Find Better Ideas, Faster ® with a custom family bonding trend report, our PRO Dashboard and 80+ categories of premium trend reports. With respect to strengthening kinship, the Family Bonding Trend Report explores the latest methods and activities that increase family interaction during time spent together. We explore new vacation options and travel packages that are curated specifically for families. We will look at local opportunities such as family-inclusive yoga classes and playful family night entertainment opportunities. Lastly, we will examine how the culinary industry partakes in family gatherings. 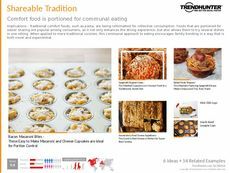 This report examines restaurants as well as eateries that offer family packs and family-friendly takeout options as well. 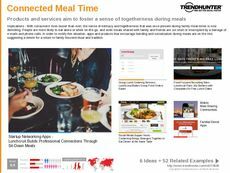 This report can help professionals in the culinary industry to carefully examine the need for family deals, which have the ability to increase consumer desire and brand awareness. This report can also be used by travel agencies and local entertainment or community groups alike. 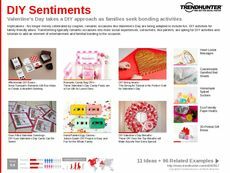 The Family Bonding Trend Report will help you create family-oriented packages and activities that reflect your brand and cater to a large consumer demographic.